It was another memorable day for Irish athletics in Prague. English joins an exalted list of Irish indoor medallists. IRELAND’S LATEST EUROPEAN Indoor medallist Mark English admits he surprised himself in today’s 800m final but puts his performance down to an improvement in his fitness. English found himself down the field at the halfway juncture in Prague but timed his move to perfection as he moved from fifth to second down the home straight to cross the line in a time of 1:47.20. The Letterkenny athlete, who also won 800m bronze at last year’s European outdoor Championships in Zurich, stormed past Sweden’s Andreas Almgren in the final 200m and then Netherlands’ Thijmen Kupers after the last bend to become Ireland’s 23rd medallist at the event. While his tactics were executed brilliantly, English acknowledged the work of his coach in the last few months to bring the 21-year-old to the next level. “I just want to thank my coach because I’ve really improved aerobically since Zurich and I was able to get myself in a good position but also was able to think clearly and that’s so important over 800 metres. “I was happy to sit in fourth place halfway through as it was pretty much strung out at that stage. I just had to keep on my toes, keep my rhythm and once I hit that final stretch, I told myself nobody was going to beat me here. “Obviously Marcin Lewandowski was just too strong but I was delighted to beat Kupers because that guy is a world finalist. The Irish team arrive home on Monday evening and are expected to touch down in Dublin Airport at 7.10pm. Email “'I surprised myself but it's a great feeling to pass out those guys and win a medal for Ireland'”. 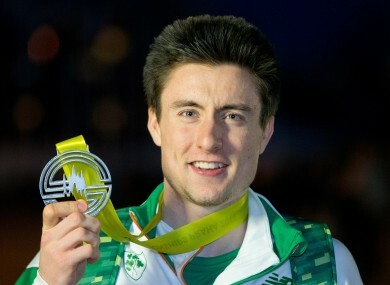 Feedback on “'I surprised myself but it's a great feeling to pass out those guys and win a medal for Ireland'”.